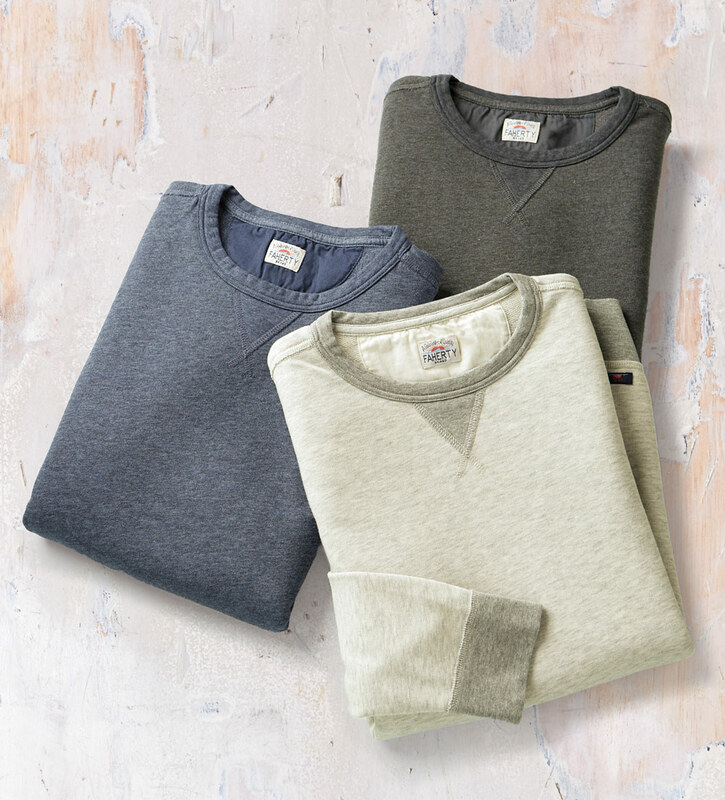 Melange super soft French terry in cotton rich blend. Long sleeves, contrast trim, band cuffs and waist. 56% polyester/44% cotton. Machine wash. Made in Peru.